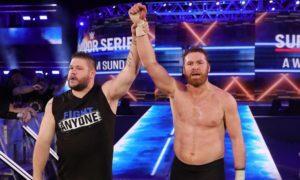 Editor’s Note: In light of the recent Kevin Owens vs. Sami Zayn angle in WWE NXT, the CCB is re-publishing a blog from 2010 documenting their classic rivalry from Ring of Honor. This blog was originally published on December 9, 2010. It has literally been one year in the making. At ROH Final Battle 2010 it all comes to an end in the same place it started, the Manhattan Center in New York City. It has been the best wrestling feud in all of 2010 and if you don’t believe me go back to watch it all for yourself. The feud I am talking about is Kevin Steen vs. El Generico. I had the pleasure of attending my first Ring of Honor event one year ago in the Manhattan Center in New York City when the feud between Kevin Steen & El Generico actually began. It was there where we saw the one-time best friends, tag team partners and former Tag Team Champions split apart from one another. Steen turned his back on Generico and in the process became one of the most insane characters in wrestling for quite sometime. It was similar in ways to a feud that really grabbed people’s attention in the late-90s between Sabu and Taz. The similarity came in the sense that while Taz & Sabu never touched for an entire year, it was a period of time where El Generico did not touch or lay a hand on Kevin Steen. El Generico was confused & heartbroken that Kevin Steen had turned his back on him after all this time, while Steen made sure to take every opportunity to lay a hand on El Generico. There would be stare downs in the ring between El Generico and Kevin Steen where the fans wanted to see El Generico retaliate. Already in the early stages of the feud people would realize that these two very underrated wrestlers could hold the crowd in the palm of their hands. 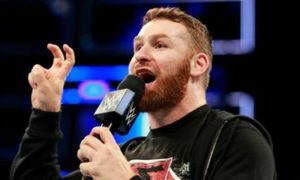 The fans could see El Generico battle with himself over wanting to strike Steen while “Mr. Wrestling” would provoke his one time friend. Fans would finally see El Generico snap almost 5 months later in April of 2010 at the ROH Big Bang show. It was there, where once again, another city, another place, that the fans wanted El Generico to strike Kevin Steen. Fans would get their wish as Generico would finally snap and send this feud from the 4th gear it was already in, into a 5th & 6th gears. During this entire feud it was able to take other wrestlers, veterans even, such as Steve Corino (who would side with Kevin Steen) and Colt Cabana (who would side with El Generico), to make it fresh and fun to watch. Fans still wanted more, even though it was Colt Cabana in the ring with Kevin Steen, or El Generico in the ring with Steve Corino, the fans were hooked. They knew that while it wasn’t Steen/Generico, it was the work of art being displayed through this storyline. It would finally come ahead at the Death before Dishonor show from June of this year. 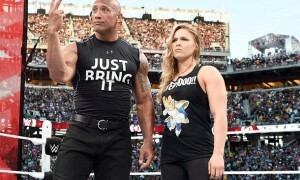 The match was billed as “six months in the making” and would be the first time the two would battle it out in the ring. The feud was so intense that it was El Generico who interrupted the first match of the show to get Steen out in the ring for that very moment to be the opening match. The hatred that was built between these two in the squared circle has been something we haven’t seen in quite sometime. The match was great and had the fans in the palms of their hands. The emotion was there; the crowd was into it and loved every moment Steen & Generico wrestled. It was two underrated wrestlers attempting to steal the show based off of their great in-ring work, mic skills and grabbing the crowd’s emotion & placing it in the middle of the ring. While Steen would come out on top that night, the match would be moved to its next chapter and most definitely its darkest chapter, at New York City at the Glory by Honor IX show in September. Once again I had the honor of being at the show and witnessing the emotion in the building that night. It was most arguably the most anticipating match on the entire card, a chain match that would come on just before intermission. It would be a tag team chain match with El Generico & Colt Cabana taking on Kevin Steen & Steve Corino. Once again the veteran secondary wrestlers were involved in the match and that didn’t matter, the fans were hooked. There was brutality, violence and the word you keep hearing throughout this entire blog, emotion involved. Generico & Cabana would come out on top after a very good match and it would turn into the next chapter of this entire feud. As Generico was placing Steen on the top rope for his trademark brainbuster, it was at this time Steen would unmask El Generico in front of the crowd, for a glimpse Generico’s face was shown before being quickly covered up. It was at this point the great feud became darker after this very match and moment. With El Generico now unmasked and having to use a secondary mask, one that was completely black, made this once loveable character a monster that no one thought would happen when this feud started. Generico & Steen were able to complete 360 their in-ring characters and make them from once loveable people to the darkest of character’s wrestling has seen in sometime. It was where this feud was also sadly seeing its final stretch run. On ROH on HDNet it would be Kevin Steen creating a final match, one to settle the score, at Final Battle 2010 in New York City. It would be Steen vs. Generico with stipulations that would change the face of ROH in 2011. If Steen won it would have to be El Generico who would have to unmask in front of the crowd, if El Generico won it would make Kevin Steen leave Ring of Honor. It is now a make or break match; one that is becoming the favorite match everyone wants to see on December 18th in NYC. 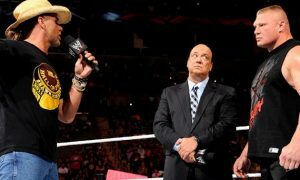 We are days away from seeing one of the best feuds, if not the best feud in Wrestling for 2010 come to an end. When people look back at Kevin Steen & El Generico’s careers it will be this feud that defines them. They have made themselves some of the top Independent wrestlers in the business based on all the intangibles wrestlers need to be top stars. In-ring work, promo skills and making the crowd feel your emotion. It’s sad to know that on December 18th this feud will come to an end because it has been one of the most entertaining feuds we have seen in quite sometime. For an entire 365 day span, Kevin Steen and El Generico have perfected the art of a wrestling feud. If you haven’t checked out this feud yet then do yourself a favor and start getting the DVD’s from the last year for Ring of Honor wrestling because these two wrestlers have made wrestling very fun for any fan feeling letdown by the WWE or TNA. Congrats to Kevin Steen & El Generico on perfecting the art of a wrestling feud. I hate to see it end but it will end with probably the most emotional match/angle that these two of done the past year and they have done some pretty audience grabbing stuff. This has been the best wrestling feud in the past year and if you don’t believe me then just check it out, it will be worth every penny you spend. At Final Battle 2010, we will see the war come to an end. What do you think of the Kevin Steen/El Generico feud? Tell us your thoughts on “The Still Real to Us Show” by e-mailing us over at [email protected] and give us your thoughts on whether you agree with more or not! 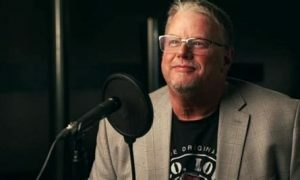 Then go ahead and download the show this Thursday @ 8pm ET/5pm PT at www.wheelhouseradio.com or www.wrestlechat.net to find out if your pick made it to the air!